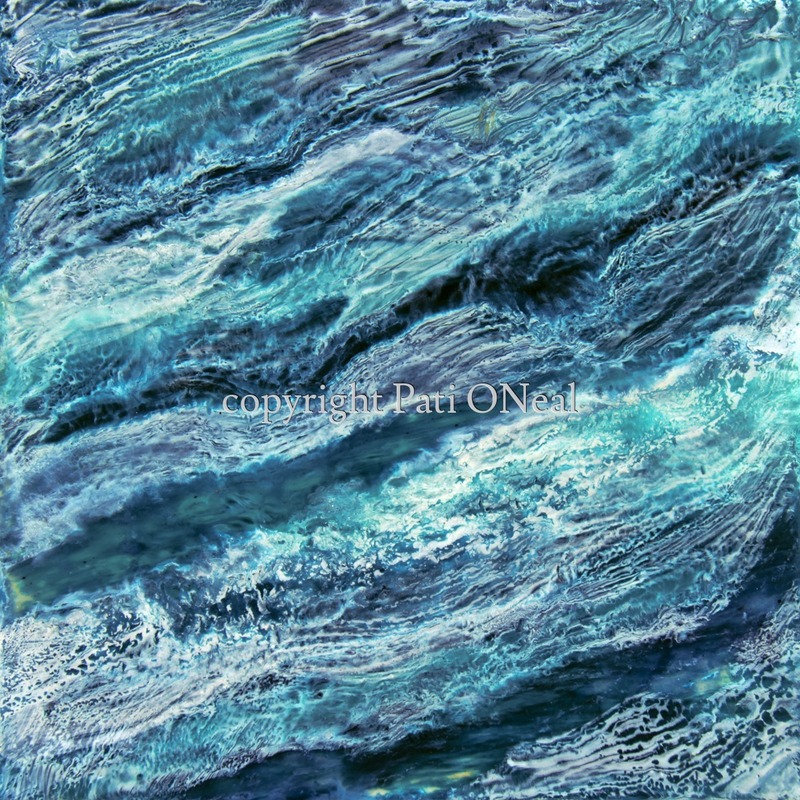 An original encaustic painting representing the ocean. Created on a panel that is float-mounted. It is currently available, contact the artist for purchase information or a similar commission.